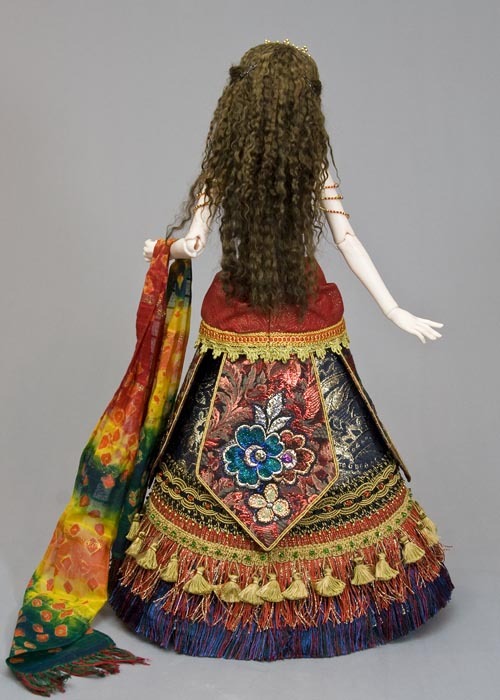 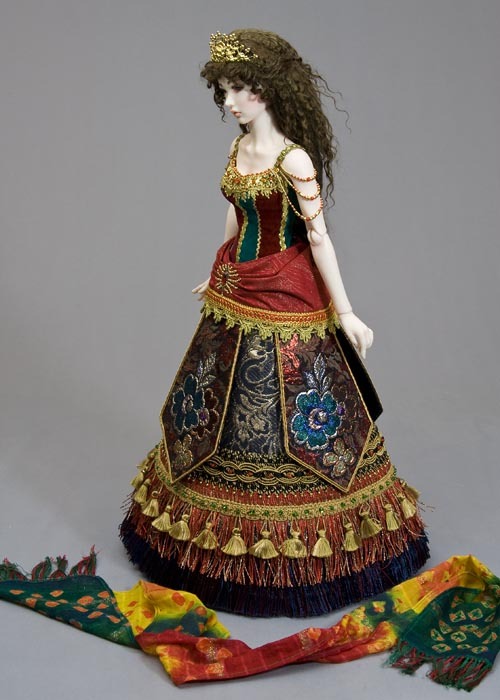 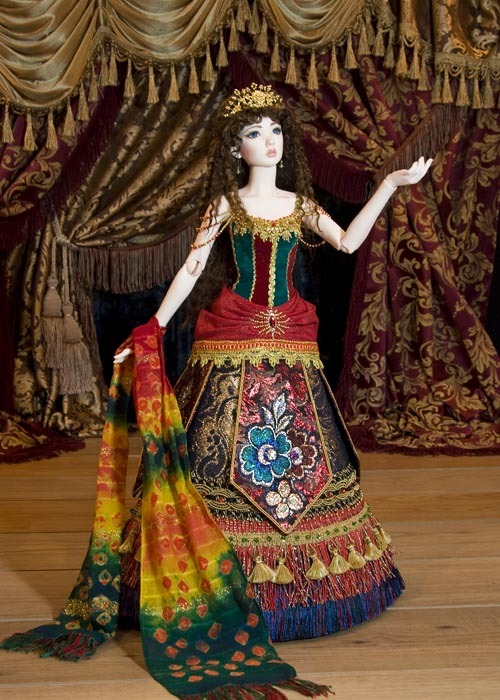 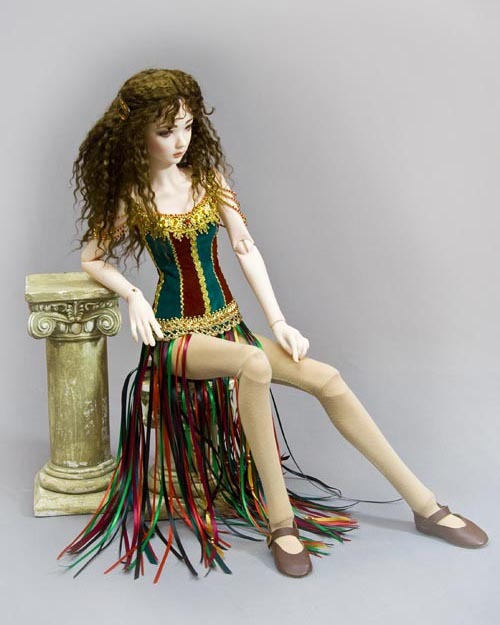 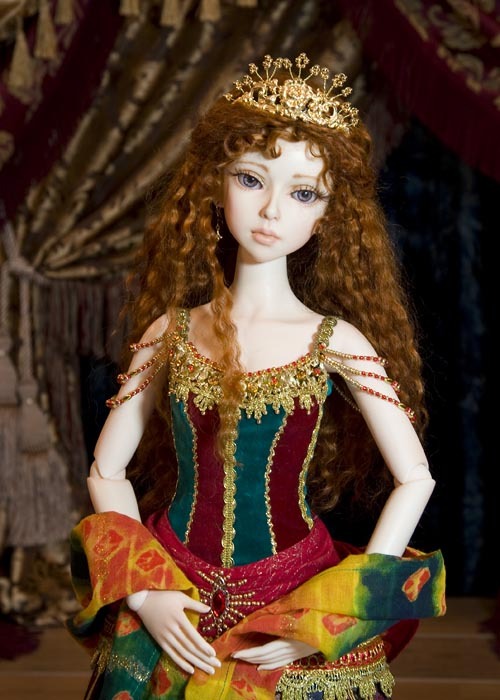 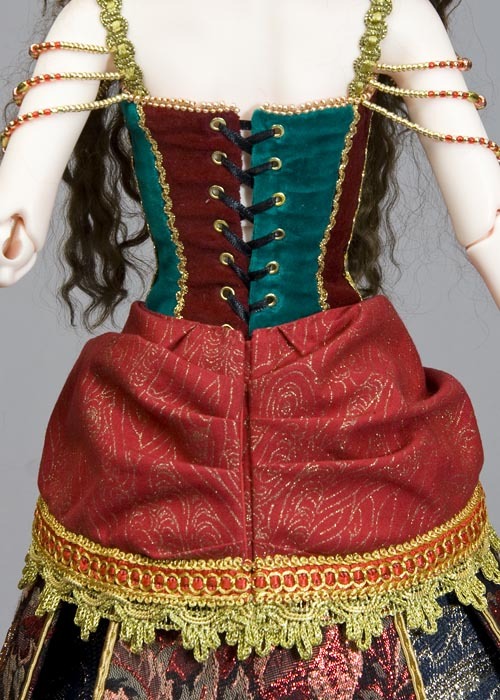 Modeling this SD-size costume is my beautiful ball-jointed doll, Rosy by SupiaDoll. 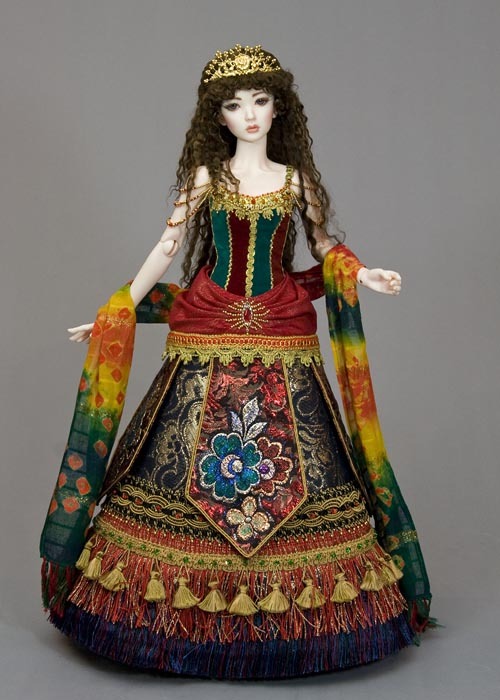 Waist 16cm, Hips 26cm, Shoulder width 12.3cm, Arm length 18.5cm, Leg length 30cm. 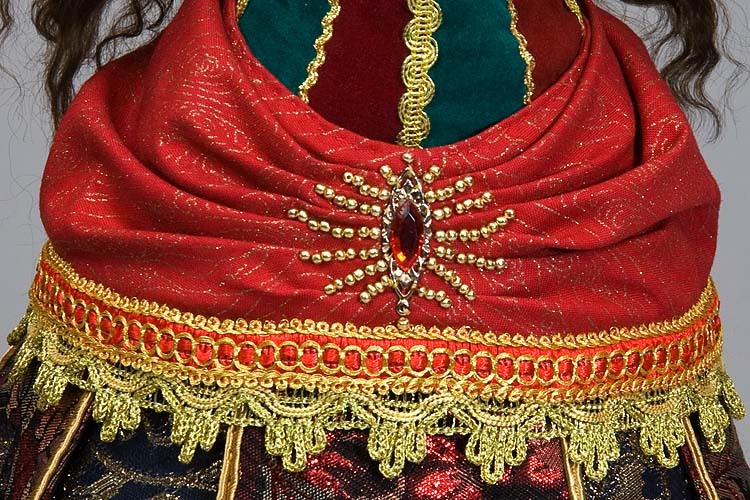 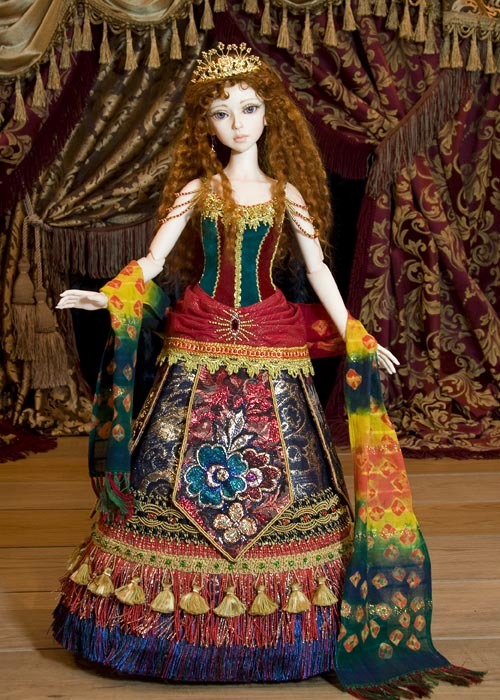 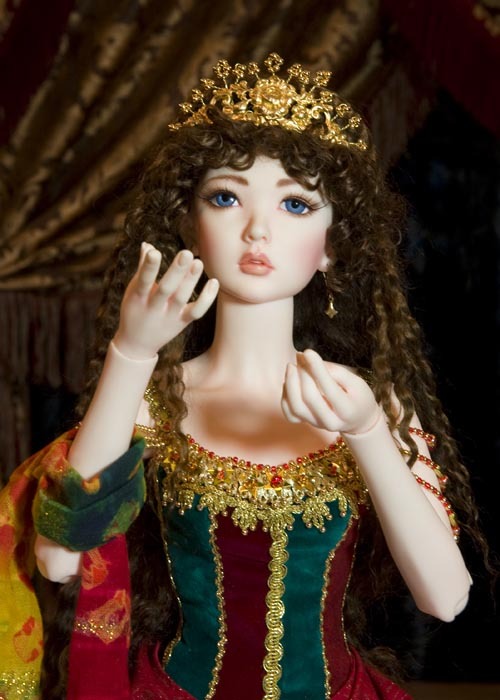 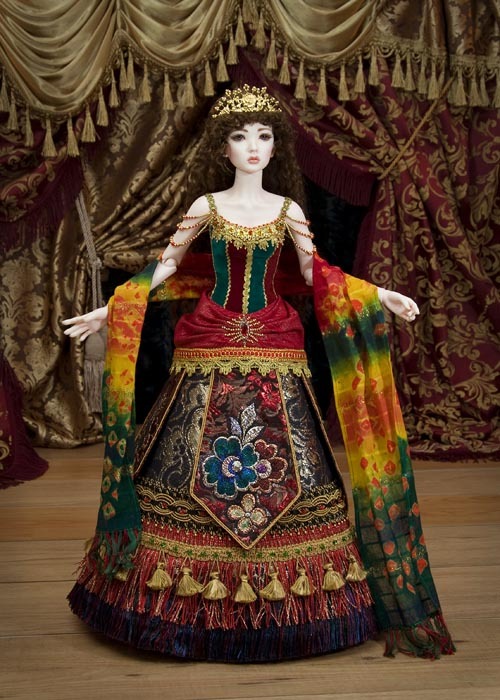 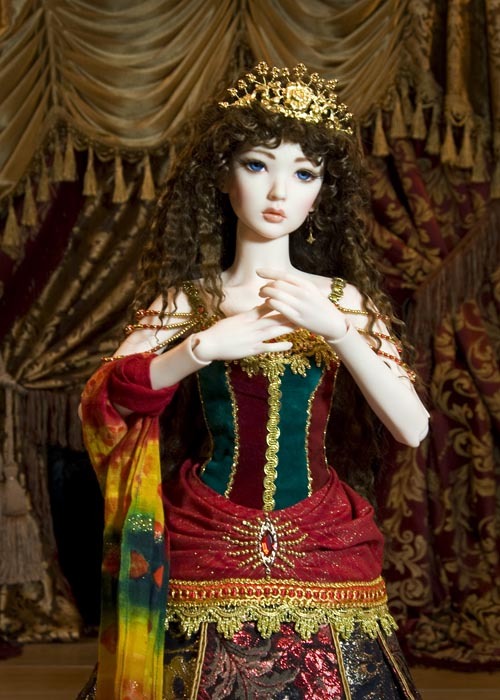 This costume also fits my beautiful ball-jointed doll, Ryung by Elfdoll. 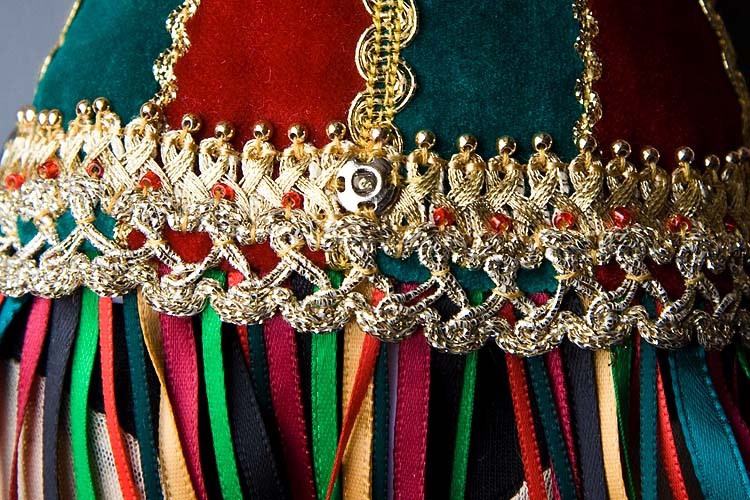 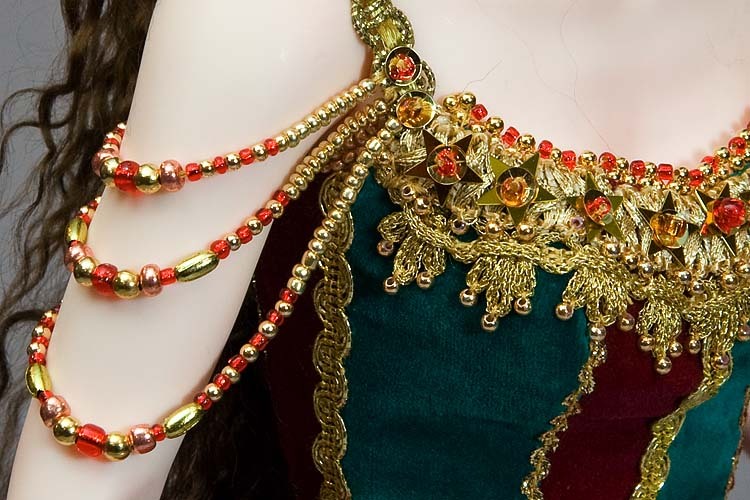 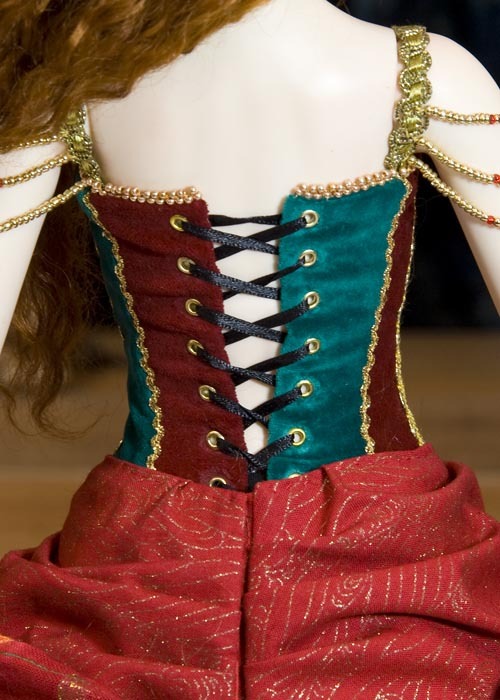 The bodice will not lace up as tightly in the bust and waist, but her hip measurements are the same as Rosy's, so the overskirts will still fit. 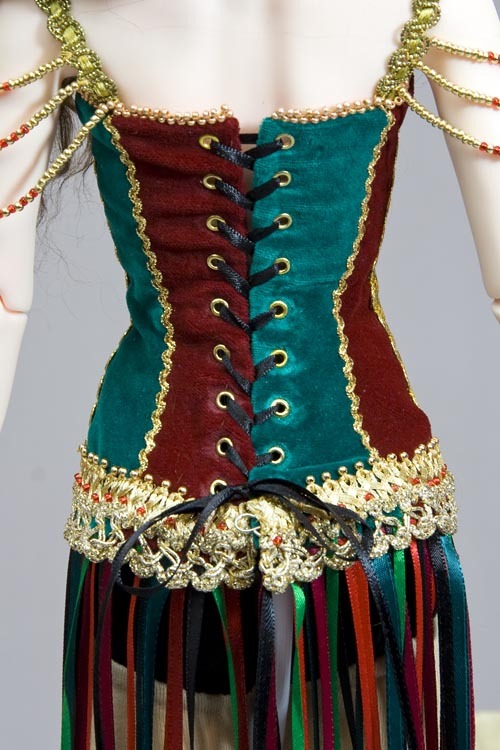 Waist 18.5cm, Hips 26cm, Shoulder width (torso only) 8cm, Arm length 15cm, Leg length 28cm.